V.L. Jennings' Official Website- Exploring Human Potential, Soaring Among The Stars: What Is The Shadowzone? My guest today is Calgary author Simon Rose, who has published fourteen novels for children and young adults, seven guides for writers, almost 100 nonfiction books, and many articles on a wide variety of topics. Earlier this year he released Twisted Fate, the second installment of the paranormal Flashback series. Today, we’re looking at his latest release, the Shadowzone series. So what’s the Shadowzone series all about? 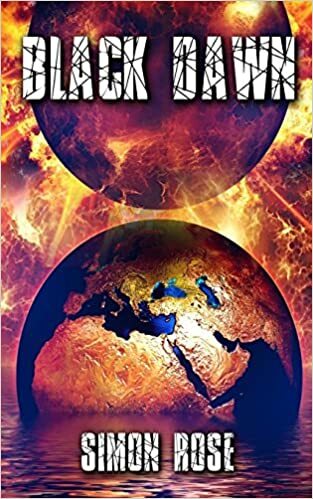 The series involves the discovery of a grim dystopian version of Earth that’s ruled by a totalitarian dictatorship, the threat of a deadly virus, and a race against time to save the lives of millions. Without giving too much away, here’s a synopsis for each of the novels. What inspired you to write these three books? What’s the story behind the story? The original idea was about someone capturing mysterious images on a video camera of a person that no one else could see. It was around the time that a local hospital was about to be demolished. I imagined that my character was filming the event and captured the image of the person stepping seemingly unharmed from the rubble as the building came down. The idea of capturing unexplained images on film was something that I’ve continued working on and it also inspired me to write The Time Camera, which was published in 2011. For a while, that’s all I had and it was one of those ideas that I was never sure would come to anything. It was early in my writing career and I put it aside and worked on other stories, but I’d periodically add another element to the story about the camera and the mysterious individual. At one point, I decided that the person that the boy caught on film wasn’t a ghost but from another dimension or perhaps a parallel universe and they were attempting to contact him for some reason. I then began to add details of this other Earth and the reasons for the connection to our world, and it went from there. An initial concept involving kidnappings from hospitals didn’t quite work, so instead I developed the idea of a deadly virus, which was a good fit with the type of government running the other Earth. Once that was all in place, I was able to get to work. Was it always going to be a series? Shadowzone was originally only one novel, but once I’d finished it I immediately realized that the story wasn’t over and that I need to write more. 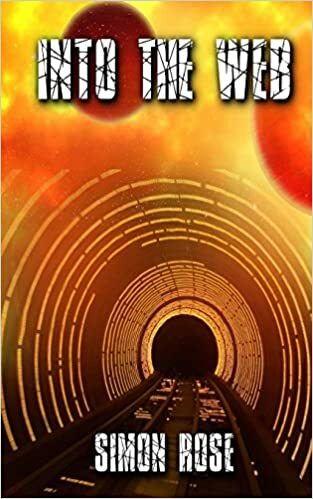 The final installment was written very quickly and in the process I knew that I needed to expand the earlier sections too, so in the end I had a trilogy. 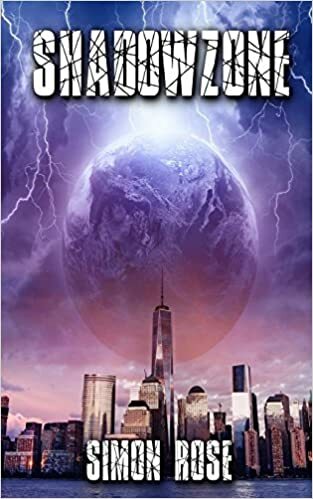 You could certainly just read Shadowzone, but there’s a cliffhanger ending and hopefully most people will feel utterly compelled to be read on and learn what happens next. Into The Web and Black Dawn also don’t make sense if you haven’t read the first book in the series. 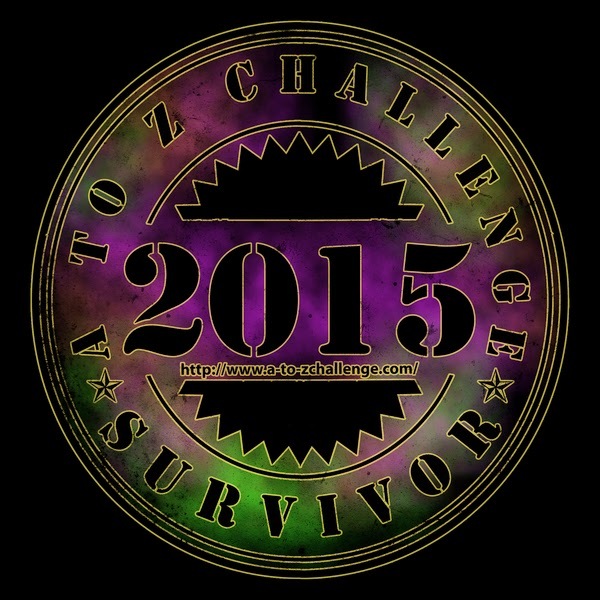 Taken together, it’s an exciting, fast paced adventure that I hope everyone will really enjoy. So it’s a good idea for authors to write a series of books? It can be, but only if you have enough material for multiple books. If readers are sufficiently interested in the story and the characters after completing the first installment, they’d usually like to read more. However, the story or theme has to be strong enough to warrant more adventures. It’s important to remember that the reader won’t appreciate any novel that’s overloaded with filler, just for the sake of creating a series, and might easily avoid any books by the same author in the future. So where can people buy all three books in the Shadowzone series? You published these yourself, whereas most of your earlier work was traditionally published, correct? The first eight novels were published by Tradewind Books, while Flashback, Future Imperfect, and Twisted Fate were published by Tyche Books, but my seven books featuring tips and advice for writers were self-published as paperbacks and as ebooks. I hadn’t self-published fiction before and thought it was time that I did. The Shadowzone books were finished and I believed that they were as good, if not better, than my other work. I also asked some people read them to confirm this and then decided to go ahead with publication. A lot of traditionally published authors also self publish as well now, so it’s quite common practice these days. Will you self publish again in the future? Yes, I think so. The third part of the Flashback series will be published by Tyche Books next spring, but I do have several other projects that I’ll most likely publish myself as well soon. I always have a current project or two and right now I’m working on a historical fiction novel for young adults set in the turbulent era of the English Civil War in the 1640s. The novel’s about half finished, but I still have a lot of work to do. I’m also working on sequels to Future Imperfect and The Sphere of Septimus. Are your other books in this similar dystopian genre? No, although my novels are all in the science fiction and fantasy genre. The Sorcerer’s Letterbox and The Heretic’s Tomb are historical fiction adventures set in medieval England, The Alchemist’s Portrait is a time travel story, The Emerald Curse is all about superheroes and comic books, The Doomsday Mask is all about the legend of Atlantis, and The Sphere of Septimus involves the characters traveling into another world and is in the same vein as the Harry Potter series, The Chronicles of Narnia, or Lord of the Rings. Future Imperfect is a technology-driven story featuring mysterious messages from the future, and Flashback and Twisted Fate are in the paranormal genre. I’ve also written nonfiction guides for writers, including The Children’s Writer's Guide and The Time Traveler’s Guide. You also work with other authors, don’t you? Yes, I do quite a lot of that these days. I’ve edited books in all kinds of genres for a wide range of writers in the last few years, offering both substantive and copy editing. I also work as a writing coach and consultant for people with works in progress or those that are struggling with writer’s block. You can learn more about some of the projects I’ve worked on that have subsequently been published are here on my website. I also offer online courses for adults and workshops on a variety of themes for aspiring young writers. Thanks Simon, for being my guest here today and the very best of luck with the Shadowzone series. I hope the books sell thousands of copies in the coming weeks and months.